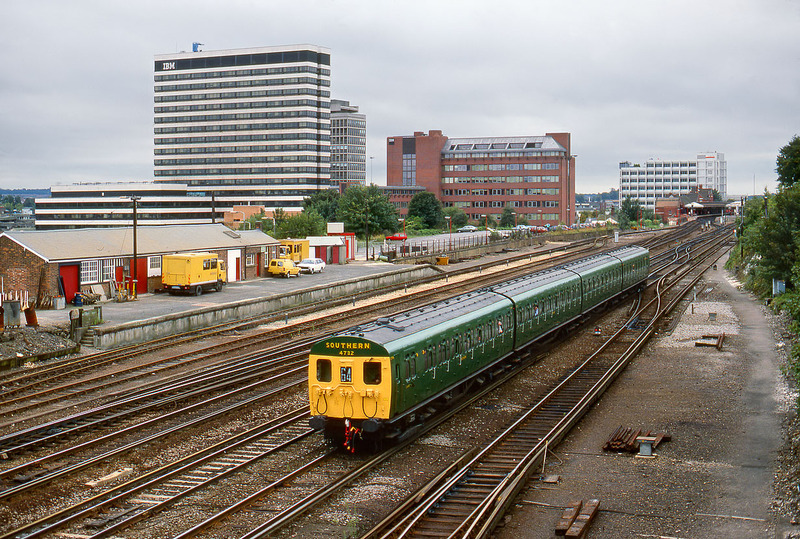 With the IBM building dominating the background, Class 405 4-SUB 4732 leaves Basingstoke on 25 September 1988 with a shuttle service to Winchfield in connection with the 'Winchfield 150' celebrations. This vintage unit was a regular participant in such special events during the 1980s. It was popular then, even though virtually everything else on the Southern was slam door stock. Imagine how popular it would be with enthusiasts today!